I would say 95% of the time when I am cooking chicken I am working solely with the breast. Boneless skinless breasts seem to be the quickest and easiest to work with, but you pay a little bit more for the convenience factor. However, there isn’t really anything special or fancy about a plain chicken breast. On occasion I really do enjoy cooking a whole chicken. It just seems much more impressive to roast the whole thing. 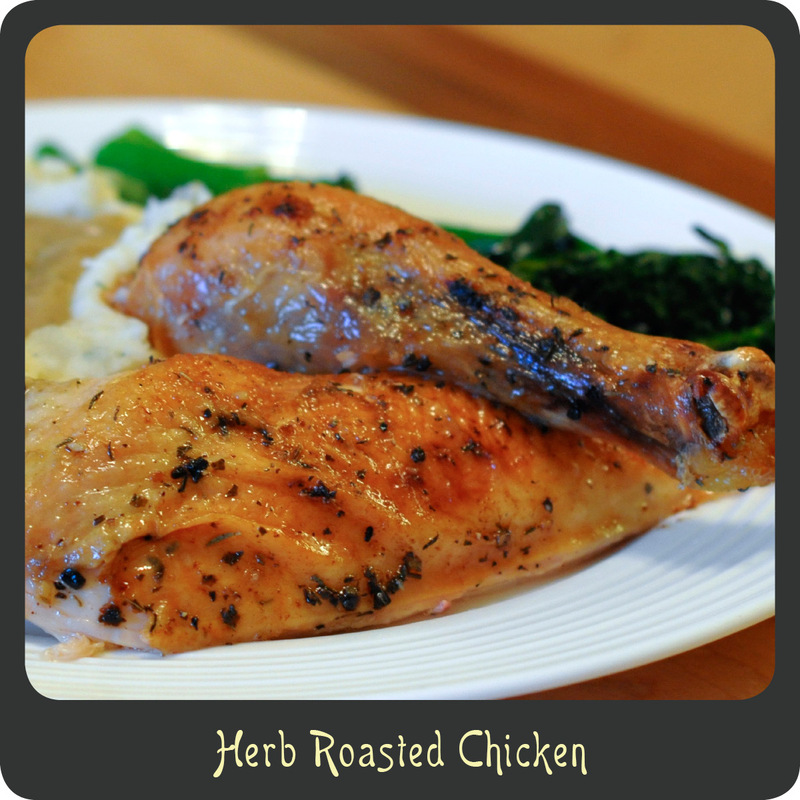 While the ingredients are incredibly simple in this recipe, it is the most fabulous and flavorful chicken you will ever have. I’m not one to typically sit there and eat the skin off a chicken but when I am carving up this chicken I can’t stop eating it once I start. The skin has just the perfect amount of crispiness and more flavor than you can imagine. You are lucky if there is any skin left on your piece of chicken by the time it makes it to the table. It is that good! Once you make this recipe you will understand. 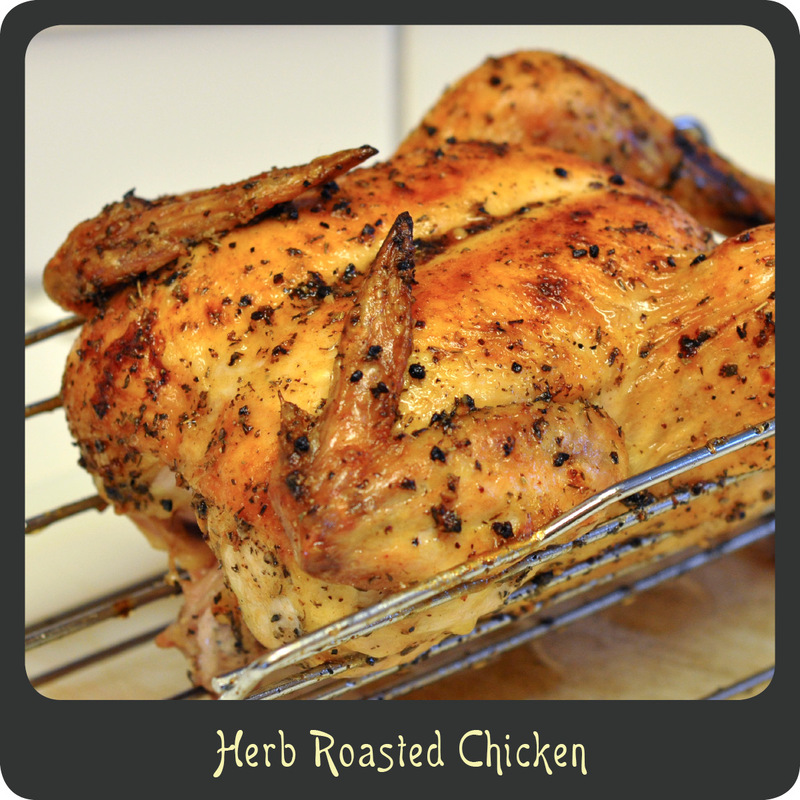 I guarantee this will be the best roasted chicken you will ever have. Note: The most complicated part of this recipe is brining the chicken, which really isn’t complicated at all, people just think it is. If you aren’t familiar with brining I will bring you up to speed. Brining a chicken is when you soak it in salt water for a good amount of time. Giving it this “salt bath” ensures your chicken will be moist and juicy and it also allows the salt to soak into the meat, which really enhances the chicken’s natural flavors. I personally feel it makes a huge difference in the taste. In my opinion, brining is the difference between a good chicken, and a great chicken. Remove the neck and giblets from the chicken and place it in a large pot. Pour the kosher salt over the chicken and fill the pot with water until it is submerged. Cover the pot with the lid and place in the fridge for 4–8 hours. Remove the chicken from the pot, rinse with cold water, and pat dry. Combine the melted butter and garlic in a small bowl. Combine the basil, sage, thyme, salt, and pepper in a second small bowl. Use a basting brush or your hands to lather the chicken in half of the garlic butter. Sprinkle half of the herb mixture over the chicken. Flip the chicken over so that it is now breast side up. Repeat with remaining butter and herb mixture. Allow the chicken to sit for 5–10 minutes and then transfer to a cutting board to be carved.